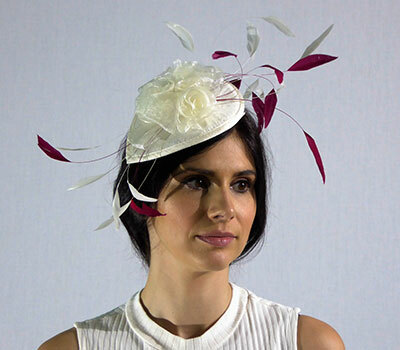 The tools and materials used in creating a hat or fascinator vary considerably, sometimes needing just a template others definitely requiring a hat block. 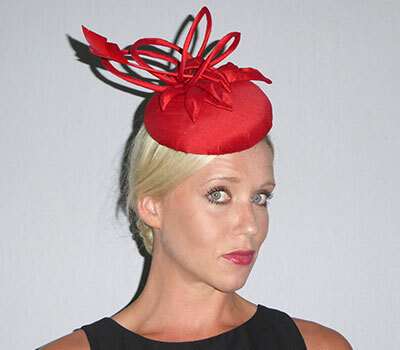 This is essentially your basic hat mould. All hat blocks are made from wood, except for industrial, man-made quantities where they are fabricated from metal. These form the base of the creation to be fastened to the head or hair. 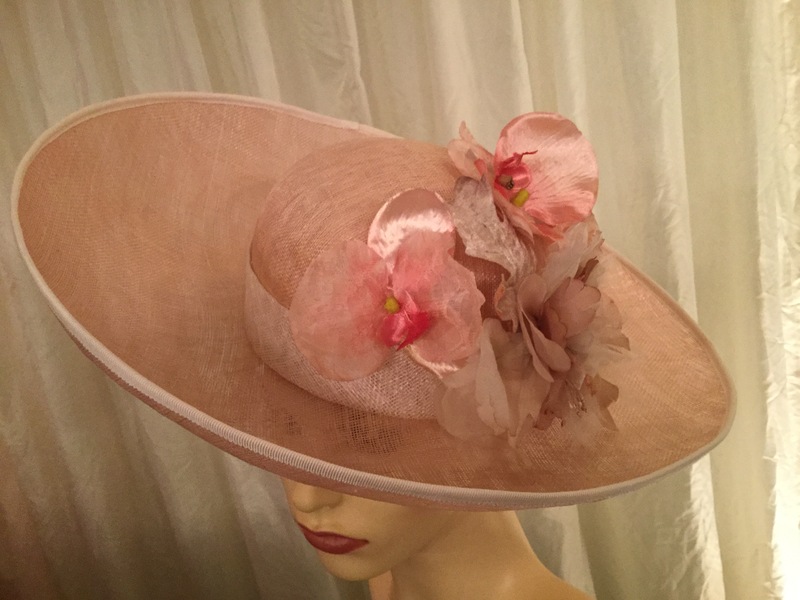 They vary in size and style depending on whether you want to make a pillbox shape, a tear drop, a slanted base or a wide brim hat. There are only a few suppliers around the world and my favourite 'go to' suppliers are Guy Morse-Brown and Hat Blocks Direct. 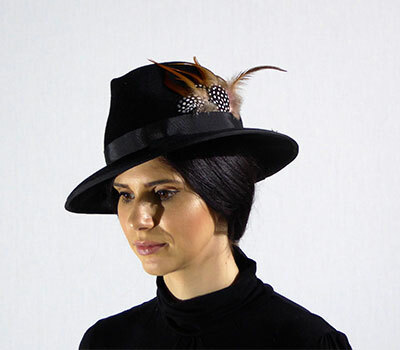 Guy Morse Brown made me a fabulous fedora hat block and this style is fast becoming my best seller as it is so versatile and can be worn out for shopping, a day in the countryside, for walking the dog, showing a horse or even for a city break away. Hat Blocks Direct have a wide and varied selection, and some of my standard 'go to' blocks are from this supplier, I have my eye on several more. When creativity hits, it is hard to rein it in and the block is such a fabulous starting point. The choice of materials to become the base are predominantly sinamay, a straw fabric, silk, felt, velour or leather. Baxter Hart provide the most amazing colour palette in sinamay, for picking the perfect shade for my clients. I have previously layered two colours to achieve that exact colour. 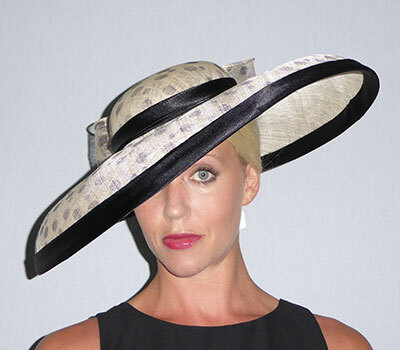 These fabrics are then steamed, stretched and moulded over the hat block, and after much shaping, or even tugging, quite literally the hat base starts to take shape. Trimming of the excess fabric and hand sewing follow, to ensure perfect lines and seams. As the hat evolves, a little tuck and fold and change in direction can occur as creativity takes over. The adornments and embellishments are limitless. 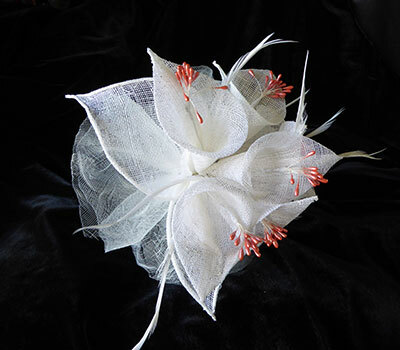 I like to accessorise with feathers, flowers, gems beads, ribbons, veiling, leather and handcrafted pieces of fabric, which are stiffened and sculpted into shards or spirals. Often sprayed with colour to match the hat/fascinator or to provide vibrant variants in colour to give impact and that wow factor. I use Parkin Fabrics Limited and the Trimming Company. 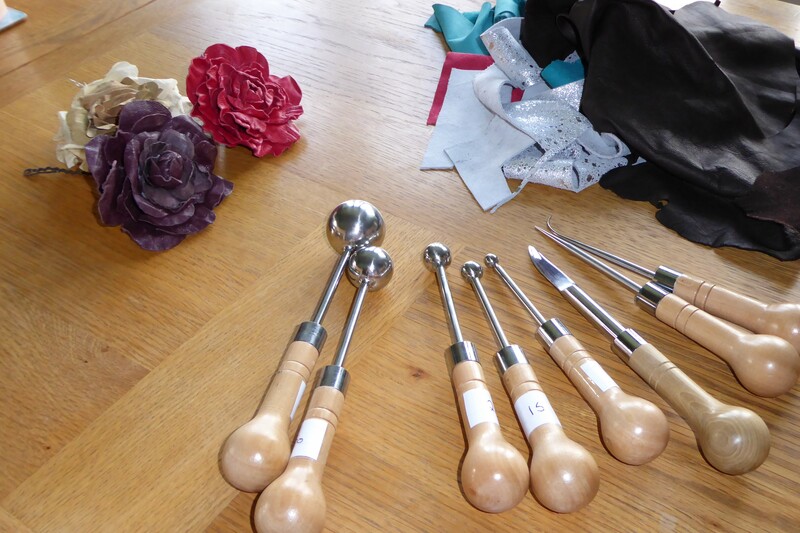 The remainder of my embellishments are sourced via mail order sites or in the back of vintage or antique shops. Odds and ends lines in fabric stores and craft stores can be incredibly exciting to rummage through. My daughters and now my grand-children are always presenting me with little finds and they are stored away for that perfect creation in the future. Also spades of creativity and heaps of love for the process, a flash of personality from the client or the occasion in question, coupled with a spattering of grit and determination for the felting!